← So WHat The Hell Was Prog Rock? As a grammar school boy I really ought to have had more time for prog but I really couldn’t be arsed. In the early part of the decade I just liked all sorts of music from ‘nellie the elephant ‘to ‘she loves you’. For a couple of years my favourite radio program was junior choice where you could hear ‘Right said Fred’ by Bernard Cribbens next to ‘Chirpy Chirpy Cheap Cheap’ by Middle of the Road and it all made sense. The Charts were all important and as soon as I became interested in ‘pop’ listening to the chart countdown was a high spot of the week. There seemed so much stuff to listen to freely available on the radio that it seemed a bit pointless not to mention expensive to go out and buy loads of records. Of course as I became more mature and discerning in my listening tastes I did want albums but they were costly so I had to choose wisely. By the time this had happened prog rock had become decidedly uncool. 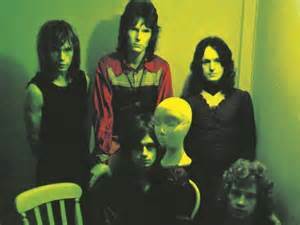 I was greatly influenced by the New Musical Express who were encouraging me to listen to The Stooges, The Velvet Underground or even The Stones rather than Greenslade. There was one record though that did work its way through my defences and is a favourite to this very day. The Yes album by (yes!) Yes was in fact the second Yes album of their brief career (so far). Their debut was also called Yes and also remains a favourite of mine although I didn’t discover it for many years after its release. 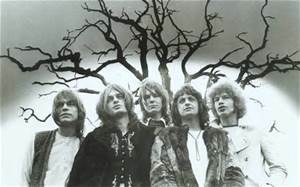 The second Yes album was the first Yes Album with new guitarist Steve Howe. I rather liked his predecessor Peter Banks who was rather more straight ahead but the rest of the band didn’t so he was sacked and Howe was in. What the band didn’t realise at this point was that they were at last chance saloon with their record company Atlantic who wanted a better return for their investment than they had had so far. With Howe now making significant contributions to the line up the band made a significant onward step to progressive rock. And its the fact that its a band moving forward that makes this such a great album. At this moment in time the band is barely prog. Using the (still not universally accredited) Prog-O-Meter I introduced last week they score quite low (see last weeks blog for more info). For example they have a fairly conventional line up, although Howe does play something called a Vachelia on the record. Another great thing a about The Yes Album is that Rick Wakeman doesn’t play on it. I’m sure Rick is a great bloke with a mass of interesting tales but I have always found his playing un-engaging twiddly twiddly for no real reason. Instead we have Tony Kaye playing great big block chords on a Hammond B3 Organ which is an inspiring and exciting sound. Also absent is the sense of ridiculousness that followed Yes around for the the rest of their careers. One the sleeve we have four pleasant looking and sensibly dressed (for 1971 at least) young men, not a satin kimono on show. Jon Anderson is Jon Anderson of course, its always a mystery how a working class lad from Accrington got mixed up in all this. On this album his lyrics are just fine, they seem to make sense without actually making sense which some, not me, will claim is poetry. At this point there’s some fine singing not just by Anderson but also bassist Chris Squire who has always been one of my favourite proponents of the poor man’s guitar. Yes are often considered a bit effete or twee but Squire’s playing could be totally brutal, I cant help but think that Lemmy was watching at some point. Finally of course there’s Drummer Bill Bruford who like Howe could turn his had to any style needed but unlike Gentle Giant (or for that matter Gnidrolog) there’s no sense of ‘cut and paste’ with styles. There’s so much to like about The Yes Album, it’s brave and confident without having to show off. Everyone is playing at their best and the combination’s just right. Soon Kaye would be off followed by Bruford by which time the band had set their controls for the heart of ridiculous. Its still a mystery how this record came into my life because I never owned a copy, I suspect that my friend Phil lent it too me Strengthen by the fact that in a recent email to me he cited as evidence of early onset altzheimers that he could remember every note on The Yes Album but couldn’t remember what he had had for dinner that day. That doesn’t really account for why he had it as he was even tighter with his record money than I was, tending towards purchases such as ’20 greatest blues tracks’ for 99p.My suspicion is that he had ,in fact, borrowed it himself. So that was my only real brush with prog. In a few short years Yes would be an embarrassment to the drainpipe jeans and Oxfam Jacket crowd, which included myself of course. By the way they have upped their Prog credentials with this performance, take a look at Squire’s boots ! This entry was posted in rock music and tagged 1970's, 70's biography, bill bruford, chris squire, jon anderson, peter banks, prog rock, steve howe, The Yes Album, tony kaye, Yes. Bookmark the permalink.